GMC used the Chevy Suburban to create their full-sized SUV line that they branded as the Yukon and Yukon XL. The Yukon was first produced in 1992, released three years before the similar Chevy Tahoe. The Yukon XL, on the other hand, wasn't released under the GMC brand until 2000. The Yukon XL model used to be released as the GMC Suburban, which reverted to the Chevy brand. In many ways, the Yukon and Yukon XL are very similar to the Chevy Suburban. While this results in a vehicle that has great market popularity, it also means that these vehicles have inherited many of the same problems present in the Suburban. In particular, these large vehicles are particularly susceptible to rolling over and causing severe injuries in these often catastrophic incidents. Due to the large size and high center of gravity on the Yukon and the even larger Yukon XL, these vehicles are particularly susceptible to being involved in a rollover accident. A vehicle with a high center of gravity may begin to tip over during a tight turn or when struck from the side in an accident. If the force on the vehicle causes that higher center of gravity to fall towards the road instead of staying upright, the vehicle may roll over as a result. Rollover risks also can occur due to a manufacturing defect with a vehicle's brakes or tires. Problems with controlling speed into a turn can have a particularly strong impact on whether a vehicle can avoid a rollover accident or not. These parts are crucial in keeping control on the road, and a defect may lead to highly destructive rollover accidents. Full-sized SUVs often under-perform in rollover safety tests because of their high profile and comparatively narrow base. For both the Yukon and the Yukon XL, the National Highway Traffic Safety Administration rated these vehicles three of five stars for rollover safety. This means that these vehicles are relatively safe, but still have a considerably higher possibility of rolling over under certain circumstances when compared to smaller vehicles, even when compared to smaller SUVs. 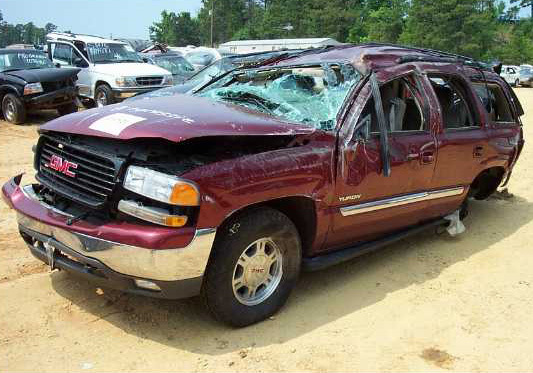 If your injuries were caused by a defective or poorly designed Yukon or Yukon XL, your GMC Yukon rollover injuries may make you eligible for compensation. This compensation may be able to cover expenses for medical bills, out-of-pocket costs, and even wages missed during treatment or recovery. To learn more about the options available to you, contact the Willis Law Firm today by calling 800-883-9858.